Michael was the Group Chief Marketing Officer for InTarget (Previously Integrat), a leading mobile aggregation and solutions company. He has over 23 years’ experience in the ICT industry, has worked in multiple mobile network operators across Africa. These include Econet Wireless and Vodacom South Africa where he was instrumental in establishing the mobile advertising division. 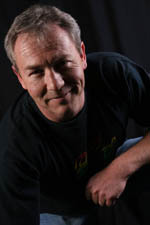 Michael was responsible for commercialising the successful Please Call Me service, as well as the tagged-on advertising messaging propositions. Small businesses are the engine of the South African economy with over 60% of employed people in the country working for an SME (small and medium-sized enterprise). As we’re about to enter another 12-month stretch with the usual hope that the economy will achieve a decent GDP growth of well over 2 percent, let’s take a look at some mobile marketing tips specifically designed for SMEs. Perhaps these helpful hints can play some small part in boosting small business! 1. Is your SME ready for mobile marketing? The most basic starting advice InTarget can offer is for the small business owner to properly assess whether the firm is, in fact, ready for mobile. There’s no sense in driving consumers to your mobile brand if a properly-designed mobile experience hasn’t been designed in partnership with a mobile marketing advisor like InTarget. InTarget continues to partner with some of South Africa and the Continent’s leading brands when it comes to exploiting the awesome mobile marketing opportunities offered by the ‘Please Call Me’ service. Most readers will know that InTarget’s established relationships mean it is able to commercialise this service highly-valued by literally tens of millions of prepaid cellular users. This is achieved by adding text tags onto the end of ‘Please Call Me’ messages for a specified time. Just as in SMS-based mobile advertising, there’s a certain art in composing or structuring text tags that get one’s message across in the most effective way. Here are a few tips that brand managers should bear in mind: 1. Don’t devalue the brand by reducing words to ‘SMS speak’ in an effort to save space. Using SMS abbreviations might be fine in casual conversation but consumers expect the brands they interact with to uphold a certain standard. 2. Because space is limited, don’t mix messages and ensure there is one clearly understandable call to action that’s also just a click away. 3. Know your audience by understanding that the products and services most suited to ‘Please Call Me’ text tags are usually low value recurring items that are also subscription or debit-order based.